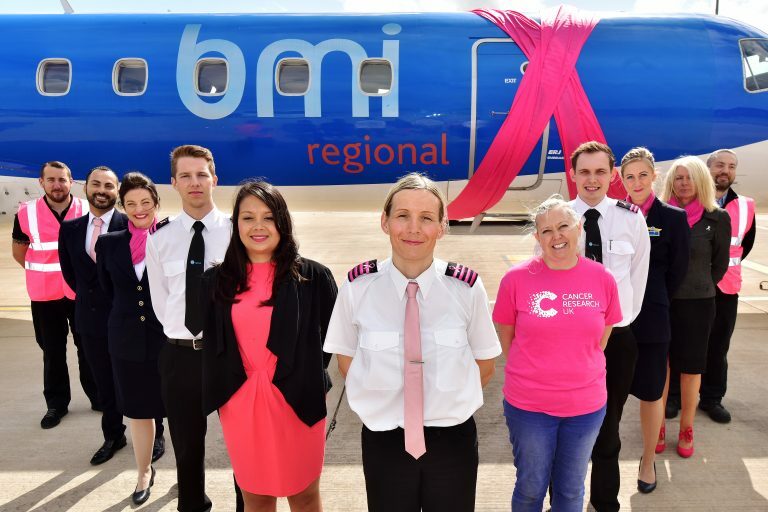 bmi regional are about to show their caring side by demonstrating support for those suffering with cancer by joining in with the aviation industry’s fight against the disease. The airline will be taking part in Fly Pink, a campaign to raise awareness and funds for Cancer Research UK. 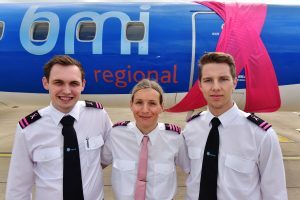 Throughout October 2017, captains, first officers and cabin crew will don pink lanyards, badges and epaulettes on bmi regional flights. Other departments within bmi regional such as engineering, commercial and finance departments will also joining in the effort, to raise awareness of the campaign by operating local and in-house events. Customers will be encouraged to support the campaign by donating to bmi regional’s Just Giving Page, which can be accessed via flybmi.com. 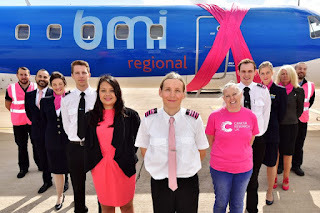 In addition to the staff dress code, crew will be on hand to explain the Fly Pink initiative to all customers travelling on bmi regional flights. Kate Constance, Local Fundraising Manager for Cancer Research UK said: ”We are very excited for bmi regional’s Fly Pink in October. It will really help get our message across to all bmi regional passengers and help raise vital funds.